Colour & B&W ws Sts have to answer questions about the weather.There's a short poem sts can learn it by heart and they have to illustrate it. Grammar points: Wh questions, weather vocabulary. This downloadable worksheet is recommended for elementary school students and students with special educational needs, learning difficulties, e.g. dyslexia at Beginner (pre-A1) level. 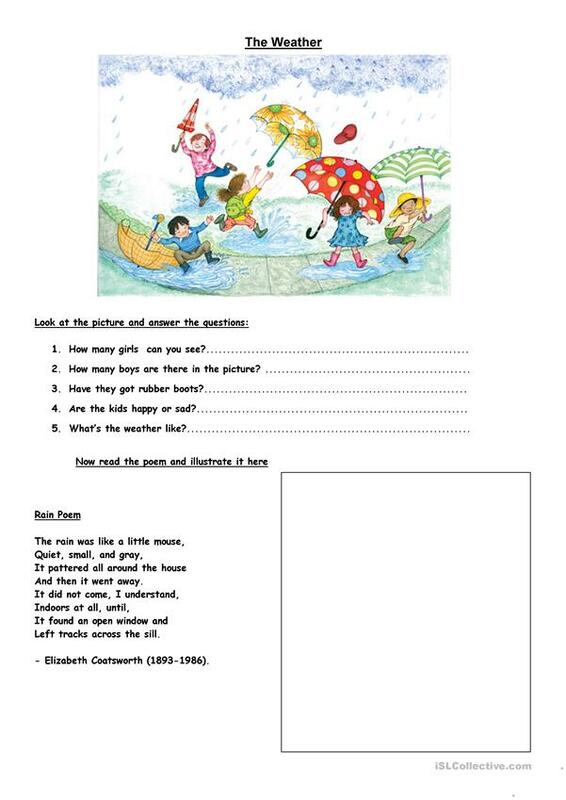 It is useful for working on your class' Speaking, Reading and Writing skills.